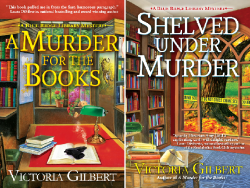 The Avid Reader: Past Due for Murder by Victoria Gilbert: My Thoughts plus a Giveaway! Past Due for Murder by Victoria Gilbert: My Thoughts plus a Giveaway! Victoria also just inked a two book deal with Crooked Lane for a new cozy series, the Booklovers B & B series, set in historic Beaufort, NC. A member of Mystery Writers of America, International Thriller Writers, and Sisters in Crime, Victoria is represented by Frances Black at Literary Counsel. 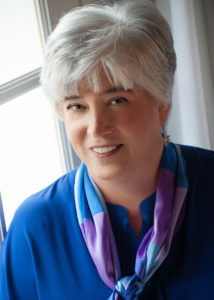 You can connect with Victoria Gilbert through her website, Facebook, Twitter, Goodreads, and Instagram. Past Due for Murder by Victoria Gilbert has us journeying to Taylorsford, Virginia. Amy Webber is the director of the Taylorsford Public Library and is hosting an event for the local Girl Scout troop. Professor Mona Raymond, a folklorist, is sharing folktales and local legends from the Blue Ridge Mountains with the girls. Amy has been assisting Mona with her research and learned about the fairy lights, two women who disappeared in 1879, and missing gold. Two of Mona’s students who are assisting at the event ask if Amy has seen their fellow student, Lacey Jacobs. No one has seen or heard from Lacey since the previous day. Lacey’s disappearance leads investigators to Richard Muir, choreographer, dancer and Amy’s boyfriend. Lacey was seen leaving his office in tears the day she disappeared. Amy knows that Richard would not harm Lacey, but she must admit that he has been acting odd recently. Lacey is finally found in the woods with Mona Raymond dead nearby. Lacey is in a coma and cannot assist investigators. Amy puts her natural curiosity and knack for research to use. She finds several people with motive for harming Mona and Lacey. Now she needs to ask questions to narrow down her suspect list and identify the killer. This killer, though, is not about to go quietly. Taylorsford is all atwitter as they prepare for the newly reinstated May Day festivities. Past Due For Murder begins by delving into the folk stories and legends of the area. There are a variety of tales that include the disappearance of two women over a century ago, the strange lights that arise from the forest floor that are attributed to fairies, and missing gold. Professor Raymond has spent the last few months in the library’s archives doing research with Amy’s assistance. 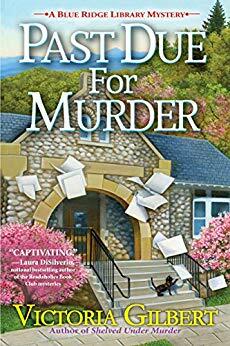 Past Due for Murder is the third book in The Blue Ridge Library Mystery series, and I recommend reading the series in order. Past Due for Murder begins with a relaxed pace as we are eased into the multifaceted cozy mystery. In Past Due for Murder, there is the missing Lacey Jacobs, the murdered Mona Raymond, Amy worried about her relationship with Richard, the old tale of the two missing women and gold that vanished around the same time. The book starts off with the disappearance of Lacey and the murder then occurs a third of the way in. Amy uses her skills to investigate Mona’s death. She has several viable suspects and tension builds as Amy’s deductions lead her to the guilty party. The storylines all come together for a satisfying conclusion. I wish, though, that the whodunit had been harder to solve. Amy’s relationship with Richard is prominent throughout Past Due for Murder along with her past association with musician, Charles Bartos. There is a cute kitten, Loie in the story that has a perilous introduction. I especially enjoy the time spent at the Taylorsford library and their amazing archive room. The romantics will especially love the ending in Past Due for Murder. Past Due for Murder has fairies, May Day festivities, a cuddly kitten, a missing coed, romantic entanglements and a slain professor. Join Amy Webber on her latest adventure in Past Due for Murder. Past Due for Murder will be out on February 12. It can be purchased at Amazon, Barnes & Noble, Kobo, Indie Bound and Google Play. The first two books in A Blue Ridge Library Mystery series are A Murder for the Books and Shelved Under Murder. Now for the giveaway details. To win a signed hardcover copy of Past Due for Murder, click here to enter or use the Rafflecopter form below. Be sure to leave a comment for an extra entry. Visit the other stops on the tour for author interviews, guests posts, reviews and character interviews (schedule below). Thank you for joining me today. 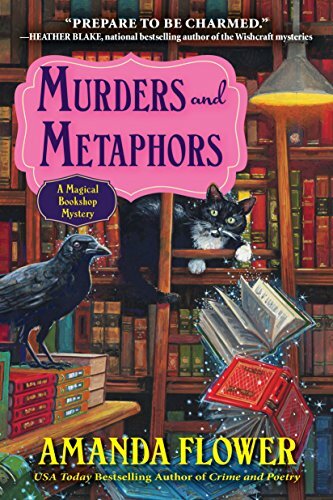 Next time I am showcasing Murders and Metaphors by Amanda Flower. It is the third A Magical Bookshop Mystery. I hope you have a harmonious day. Take care and Happy Reading! 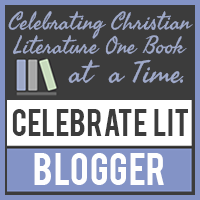 Thanks so much for featuring my book during the blog tour and for the lovely review! Thank you for your review on "Past Due for Murder" by Victoria Gilbert and for being part of the book tour. Love the cover! So cute with the kitty batting at the flying mail. Also love the library theme. Can't wait for the opportunity to read this book.